Summary: Contact lenses are the perfect choice for athletes and people who live active lifestyles. Unless you plan on wearing your eyeglasses or prescription goggles to your local pickup basketball game, contact lenses are the preferred choice for athletes and those that partake in physical activities. Here are some reasons why contacts can make all the difference when it comes to your active lifestyle. If you haven’t tried out contact lenses before, they are actually much more comfortable than glasses. You don’t need to worry about them falling off and the pressure from the back of the frame won’t cause discomfort while you’re working out or playing a sport. While it might take a bit of time to get used to, they are still highly recommended. 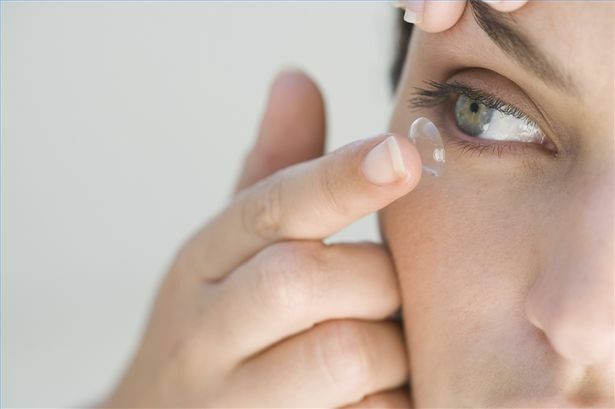 While most glasses need to be treated delicately, contact lenses are constructed to be durable. Unless you rub your eyes or suffer an injury directly on the contact lens itself, you shouldn’t expect them to spontaneously tear during an activity. However, it is important that you do keep a spare set of eyeglasses on you in the case that one of the lenses falls out. Or, you can keep an extra set of contact lenses stored away. Contact lenses are versatile in that they provide you with a wider range of vision than eyeglasses. Remember, your frames can only cover a specific area. Contact lenses on the other hand, grant you complete access to your peripheral vision, allowing you to see anywhere that your eyes move. This is great for those that play sports and rely on hand-eye coordination to play. Blog submitted by Lens.com: To find the lowest prices on contact lenses, visit the pros at Lens.com today. With hundreds of products available, Lens.com is your home for premium contact lenses.